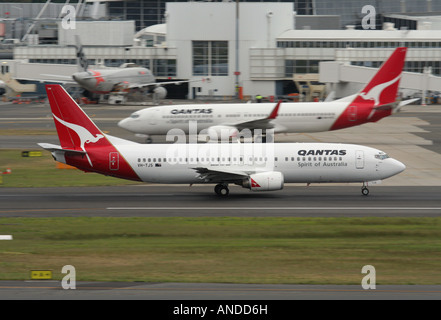 A Qantas Boeing 737-400 passes by a later 737-800 model as it accelerates down the runway at Sydney Airport. 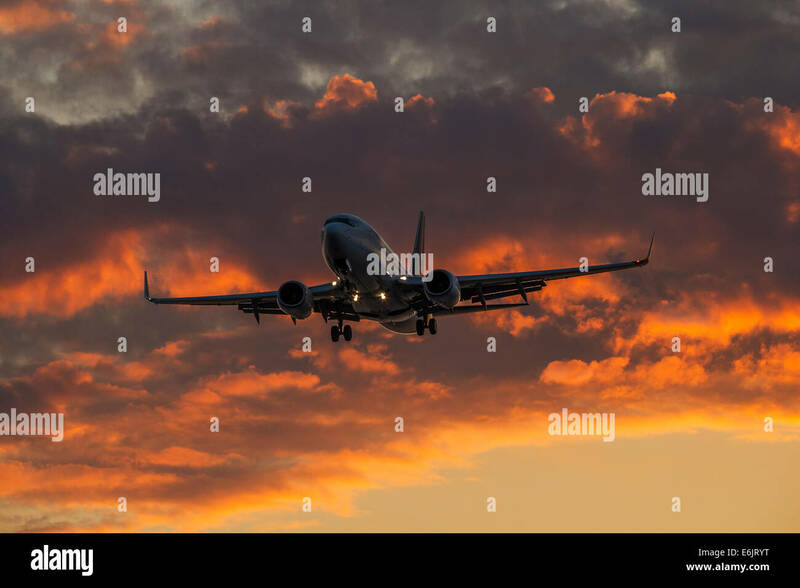 Air traffic at a busy airport. 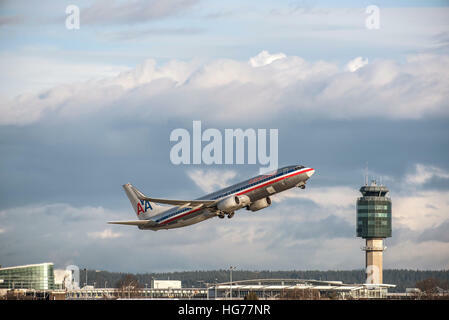 American Airlines Boeing 737-823 airborne after take off from Vancouver International airport. 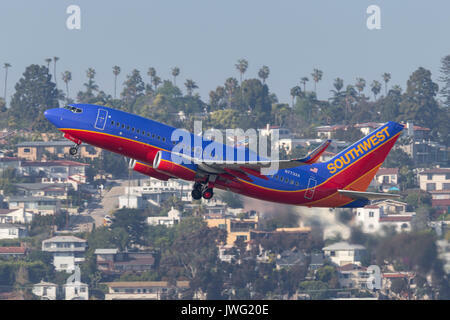 Southwest Airlines Boeing 737-7H4 N458WN departing San Diego International Airport. 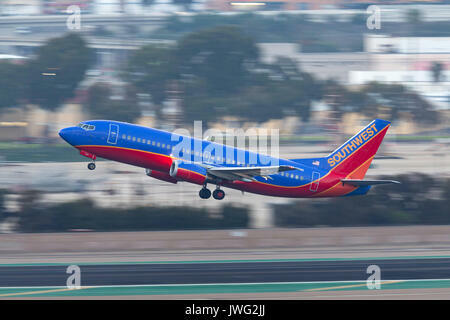 Southwest Airlines Boeing 737-3L9 N658SW departing San Diego International Airport. 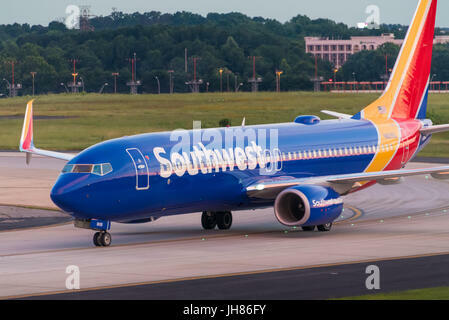 Southwest Airlines jet (Boeing 737-8H4) at Hartsfield-Jackson Atlanta International Airport in Atlanta, Georgia, USA. 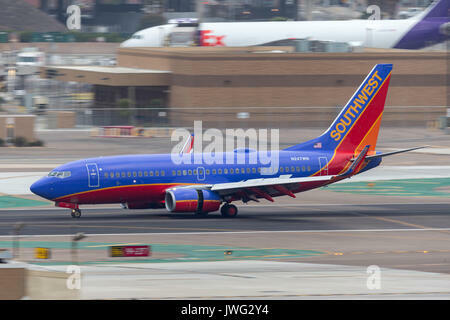 Southwest Airlines Boeing 737-7H4 N247WN arriving at San Diego International Airport. 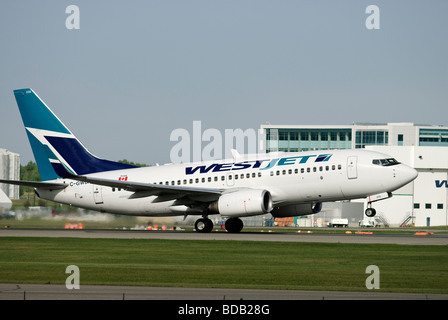 A Westjet Boeing 737 jet taking off from Calgary International Airport (YYC), Alberta,Canada. 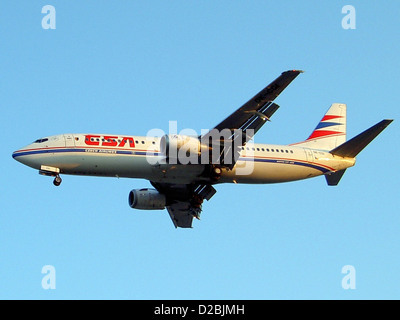 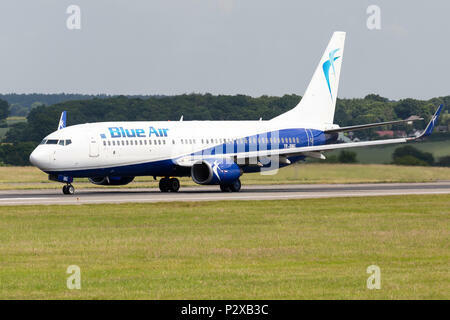 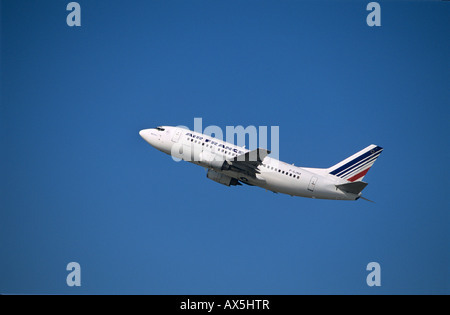 A Blue Air of Romania Boeing 737 commercial jet airliner, at London Luton Airport in England. 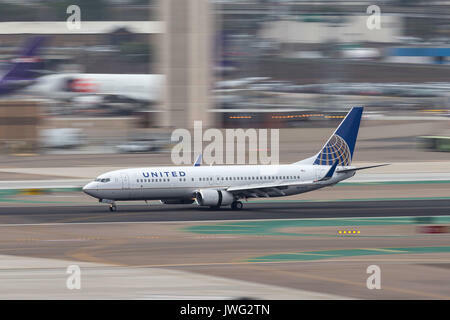 United Airlines Boeing 737-824 N73275 arriving at San Diego International Airport. 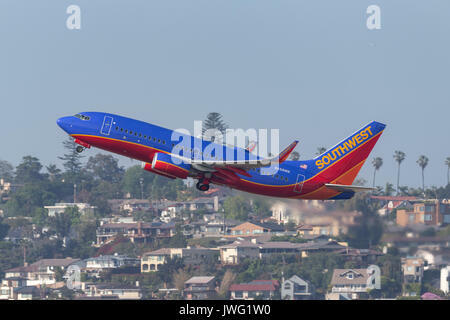 Southwest Airlines Boeing 737-7BD N7732A departing San Diego International Airport.